This entry was posted in Politics and tagged Michelle Bachmann 2016, Michelle Bachmann quotes, Michelle Backmann, Obamacare, politics by Lynn Schneider. Bookmark the permalink. Here, here. MB’s disappearance will be a sad development for comedians the world over! Doesn’t it just figure. But, will we still get Rick Perry? What do you Texans think? Funny! Keep up the commentary. I am astonished as well that people actually say those things…. I, too, am astonished. 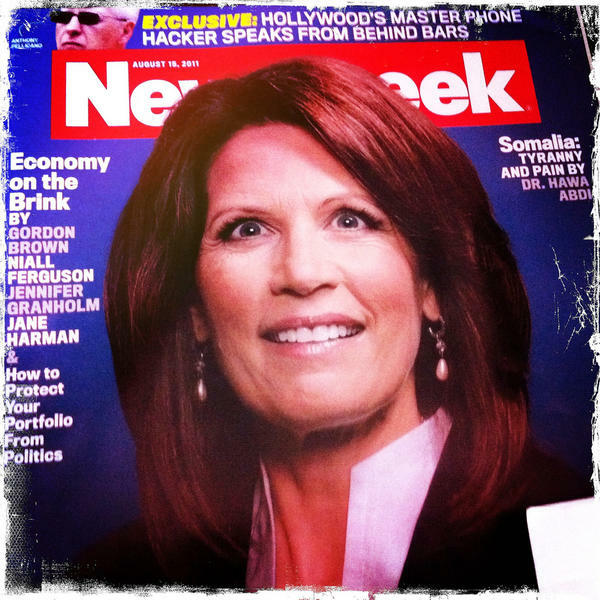 Ms. Bachmann keeps being reelected and according to what I read recently, she has no read opposition in her district. Go figure. Good idea. Even though Ann is probably not as duh-dumb, still she says some pretty bizarre things. Don’t you think Ann used to be a man? I’m pretty sure she’s an alien. And I think she says things just for the shock value, though that doesn’t excuse her. Loved this one!!! Guess with examples of women politicians like Michelle & Sarah, it’s no wonder more women aren’t taken seriously enough in their quest for political office. What will Jay, David, Jon & Steve do for comedic fodder now?? Am sure there will be another ‘Michelle’ or ‘Sarah’ looming on the horizon soon! These women are probably not to be taken too seriously, but I can think of a few men who wouldn’t either. Let’s hope Rick Perry runs in 2016. That ought to be funny. Will sort of miss the crazy-eyes though.